Bainbridge Conversation Rachel Anne Seymour engages island residents in a conversation about their community. 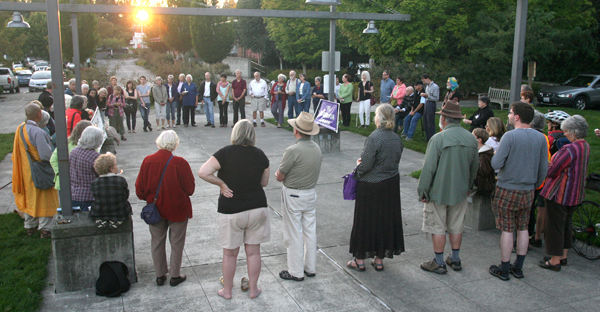 About 65 islanders gathered for a peace vigil outside Bainbridge Island City Hall Monday evening. 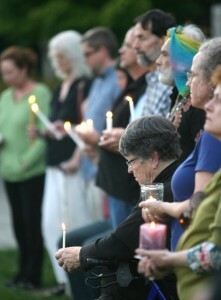 The vigil was held, in part, to protest potential U.S. military strikes in Syria. Organizer Norm Keegel, 74, said it seemed the nation was marching toward another war this summer. He reached out to representatives in Congress and discussed Syria with staff from Rep. Derek Kilmer’s office. 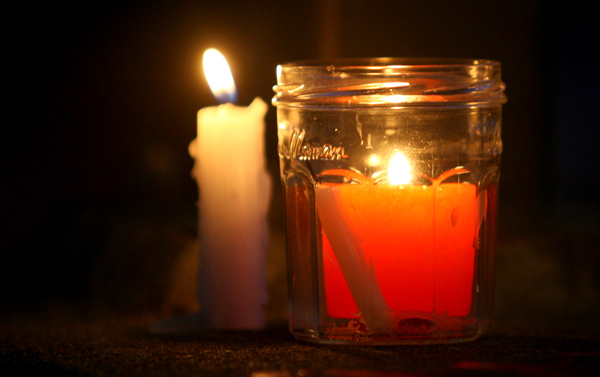 Keegel felt a vigil would show solidarity for a non-violent resolution. “What a wonderful way to show (Kilmer) there are people on the island who care about peace,” Keegel said. Participants in the Monday vigil gathered in a wide circle and shared their thoughts on the conflict. They stood for 10 minutes of silence, then sang and danced as the evening grew dark. Rep. Derek Kilmer and Sen. Patty Murray remained undecided on action in Syria as of last week. You can read their statements on the issue here. Where do you buy gas on Bainbridge Island?